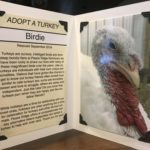 SPONSOR A TURKEY THIS THANKSGIVING! 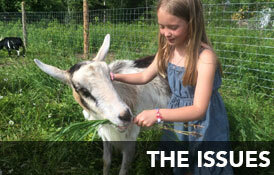 For many of us who are friends to the animals, Thanksgiving can be a hard time. As the holiday approaches, we hope you’ll keep our rescued turkey residents in mind and consider leaving turkeys (and other animal products) off your plates. 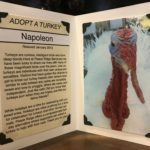 We invite you to start a new tradition this year and sponsor a turkey. 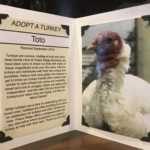 For a one-time $30 (including US postage) sponsorship, we’ll send you a card with a glossy, printed photo of one of the turkeys here at Peace Ridge Sanctuary. You can pick one of our four turkeys: Sydney, Napoleon, Birdie, or Toto.